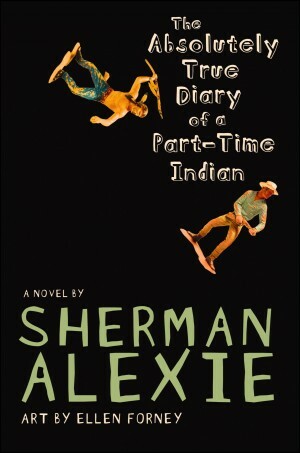 This week, Superintendent Edward Pruden released a letter that he sent to Frances Wood, the woman who is leading a campaign against Sherman Alexie’s The Absolutely True Diary of a Part-Time Indian in Brunswick County, North Carolina. In the letter, Pruden tells Wood that he stands by the decision of the Cedar Grove Middle School Media Advisory Committee, which voted unanimously to keep the book. Wood took exception to profanity and masturbation in the book, calling it “disgusting” and “filthy.” Her campaign began this summer with petition and a complaint before the school board, where she was informed that she would need to file formal complaint per district policy. She did so, and despite the fact that Wood has neither children nor grandchildren in district schools, the school followed policy and assembled a review committee. Subsequent to the committee’s decision, Wood remained undeterred and appealed to Pruden. Concerns about the book include references to the following: profanity and vulgar language; sexual content including references to masturbation and homosexuality; racism; bullying and other forms of violence; alcoholism; an anti-Christian tone. Those who defend the book as appropriate for teen readers respond that most of these troubling issues are already being faced by today’s teens, and that rather than promoting undesirable behaviors, the book actually puts them in an extremely negative light; and in doing so, helps the teen reader to understand his/her own environment and provides coping skills and hope for dealing with these tough issues in their own lives. 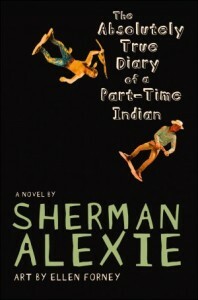 A parallel example would be the book that you recommend as an acceptable alternative to Alexie’s book: Tom Sawyer by Mark Twain. Actually, “Tom Sawyer” and its companion novel, The Adventures of Huckleberry Finn (#14 on the American Library Association’s list of top 100 most challenged books) are frequently challenged as offensive for their liberal inclusion of the n-word. Most readers understand that Twain was doing his best to condemn the moral evil of slavery even as he wrote in the vernacular of 19th century America. Pruden also defended the book for it’s frankness, appeal to male readers, and the enthusiasm it engenders among teachers and students alike. In June, CBLDF joined a coalition led by the National Coalition Against Censorship in sending a letter to Brunswick County, defending the book. CBLDF applauds Pruden’s decision to keep the book in the district’s curriculum.